Something that people often ask me is if you can consistently win at poker. Well, this is a bit of a difficult question to answer. Yes, you can consistently win at poker at the lower stakes but even the best player in the world will still have losing days at these limits. At much higher limits it might be closer to a 60/40 split for a top level player, winning versus losing days. But there is much more to it than this and I am going to break it all down for you with the numbers in this article. We will find out once and for all if you can consistently win at poker! 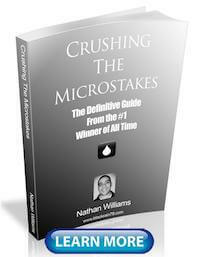 Can You Consistently Win at Micro Stakes Poker? I am well known as that guy who has played several million hands at the lowest stakes online (NL2 and NL5 in particular). And I am one of the biggest winners of all time in these games. I have also written several books about these games now. So this is why I think I am qualified to answer the question of whether or not you can consistently win at micro stakes poker. When I was 24 tabling these games and posting winrates of 20bb/100 or 30bb/100 I would virtually never have a losing day. And by "never" I mean that if I played every single day of the year (365 days) I might lose or break even on 5 to 10 days. This is virtually unheard of in the history of poker and when people ask me why I played so many hands at these stakes, this is one of the key reasons why that I often point out. Poker is an easy game when you virtually never lose! Now the question that you probably want to know though is can YOU accomplish these same results now in today's games. Sorry to tell you but the answer to that question is almost certainly, no. And the reason why is these games are not nearly as easy to beat these days. And secondly, without trying to sound arrogant, I think I have one of these highest degrees of knowledge about how to beat these games on earth. So I would say that for a very good NL2 or NL5 player in today's games winning at say 10bb/100, and assuming that they play big sessions like I used to of 2k-5k hands, they should expect to lose 5-8 days a month assuming they play every single day. This is still exceptionally good. That is something like an 80/20 split winning to losing days. In my mind this definitely constitutes consistently winning at poker. If you are an excellent live poker player playing in soft $1/$2 or $2/$5 games, then I think you could probably expect to achieve these same results. 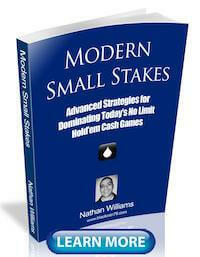 Can You Consistently Win at Small Stakes Poker? What about once you get past the beginner games though and you start playing stakes like NL10, NL25, NL50 or NL100 online? Well, sorry to be the bearer of bad news but there if there is one cardinal rule in poker it is that when you move up the stakes, the players always get better. And this means that your poker winrate will all but certainly go down. And this ultimately translates to higher variance and more losing days. So again, in my very rough and thoroughly unscientific opinion here, I would expect a very good winning player in these games with a winrate of around 5bb/100 and playing big volume once again to have between 8-12 losing days a month. I keep emphasizing the "volume" part (i.e. how many hands you play each day) for a very important reason. This is because you have to understand that somebody who only plays 500 hands a days is going to have a much higher chance of having a losing day versus someone who plays 2k hands or 5k hands. And this is because as you increase the sample size in poker variance plays less and less of a role. Therefore, if you are a winning poker player your chances of booking a winning day go up the more you play. So once again these are still pretty good results. Our small stakes hero at NL10, NL25, NL50 or NL100 is still winning roughly 2 days for every 1 losing day. I think we could still call this consistently winning at poker. 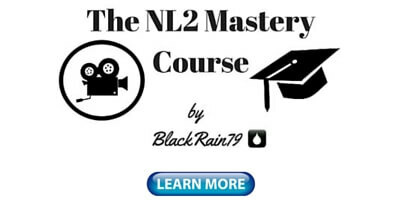 Can You Consistently Win at Mid or High Stakes Poker? Now unfortunately this is where almost all of the good news ends. If you want to consistently win at poker in mid or high stakes games today it just isn't going to happen unless you are a table selecting god. Most players who play at say $500 Zoom these days are professional poker players who are studying GTO solvers for several hours a day. I don't care how good you think you are at poker, there is no way on earth you are ever going to crush these guys even if you spend 8 hours a day studying GTO solvers. Even big winners in most mid and high stakes poker games online should expect to lose around 12-15 days a month. This is just an average of course. Many months they will actually lose more than they win. Basically what I am trying to explain here is that the edges are razor thin in these games and therefore your variance is going to be through the roof. Very good players in most mid and high stakes games online can expect to come away a winner around 55%-60% of the time they sit down to play at the very most. Pretty ugly right? Not exactly what I would call consistently winning at poker. But hang on though because there is still a bright side here. If you choose to table select heavily you can actually get better results than this. For example, there is no way on earth you would ever find me playing $500 Zoom because I personally have far, far better things to be doing in my life than battling world class pros and spending 5 hours a day studying GTO solver programs! Hitting the beach for instance. 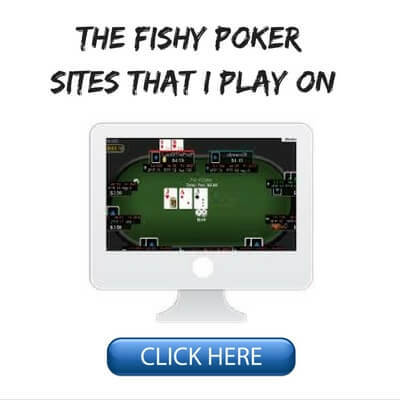 I am all about doing things the easy way in poker instead. So I would rather spend the time finding much softer games full of fish to play in. Now granted, often these games will be found at lower limits but this isn't always the case. But since there is much more action available at lower limits you can also just multi-table to increase your winnings anyways. And the huge elephant in the room of course is live poker. I don't think I have ever seen a "tough" live poker game. You can find live games with fish in them pretty much anywhere on earth. So can you consistently win at poker? Well, the answer is kind of a mixed bag. Sorry to disappoint! It really depends on what stakes you are playing, how much volume you put in and how much you table select. 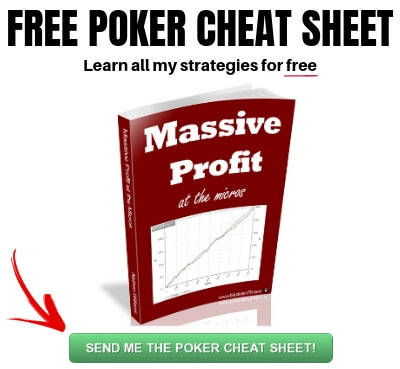 If you play at super low stakes, table select a bit and put in big volume then yes, you absolutely can consistently win at poker just by using a very simple fundamental strategy. However, if you decide to play in reg infested mid or high stakes games online have fun with that variance! There is no way on earth you are going to win consistently in these games day in and day out. You can certainly come out a winner in these games over the long run (months, years) but it will take a tremendous amount of work to get your skill level up to where it needs to be and the swings will be vicious. I want to know what you think though. 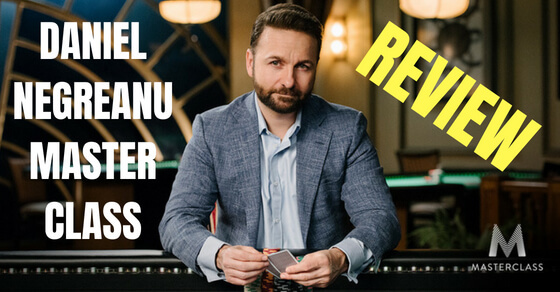 Do you think you can consistently win at poker? Let me know in the comments below. Thanks for reading glad you enjoyed. 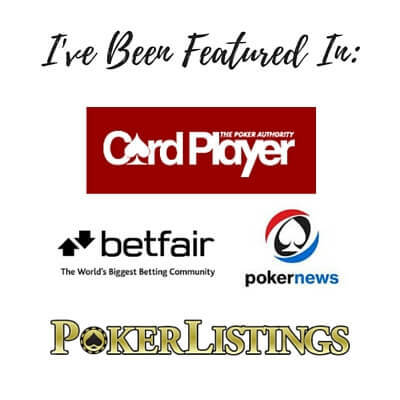 For the aspiring Pro (I.e someone who wants to make a living from poker - nothing major but enough to pay rent, eat and have some spare money etc.) would you say the best route would be to get in lots of volume at say 5nl,then? Or maybe try and move up to 25nl or something, without going to the higher mid stakes? This will be totally different for everybody depending on where they live, the lifestyle they live and so on. I keep using your book and video techniques and constantly win at small freeroll tournaments, I build up to about $30 and then play in the 1/2c games only 2 tables at a time but before long I am at zero, I just find I follow your ways but keep losing, playing only big hands, lots of folding but still keep getting smashed because nobody gives up until river is down, everyone ones to see flop, no ,matter what you put in.I play about 6 hours a day at moment and still zero. I am sorry to hear that you aren't having success yet. 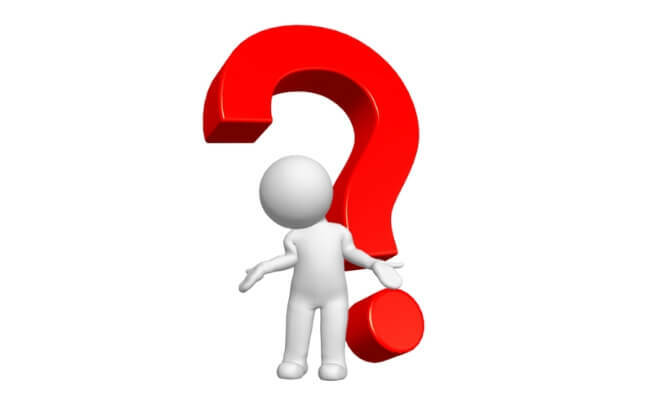 The best way for me to help would be for you to post some of your hands on my poker forum so I can see exactly what is going wrong. I would try scaling back to 1 table until you get a handle on that. Your winrate should go down as you add tables. And re-read the book. There's a ton of content that takes a few reviews as you play more and figure out your leaks. Good luck! Your winrate and the variance in your game is tremendously important for, how consistent winnings are going to be. Using the poker variance calculator at Pokerdope and assuming a variance of 70 for full ring games, if you are winning at 10 BB/100, you have 70% chance of winning after 5.000 hands and 95% chance of winning after 20.000 hands. However reduce your winrate to 3 BB / 100, and now you need to play 50.000 hands, before you have 70% chance of winning and 220.000 hands, before you have 95% chance of winning. So basically by going from 10 BB / 100 to 3 BB / 100, you need to play 10 times as many hands to overcome the variance in poker. And if you prefer 6-max, the news gets even worse. For 6-max the variance is typically around 100, which mean, that with a winrate of 3 BB / 100, you need to play 120.000 hands to have 70% chance of winning and 440.000 hands to have 95% chance of winning. This is of course related to bankroll management, since with the 10 BB / 100 winrate and low variance of a 2NL full ring game for a good player, he only have 5% risk of being down more than 10 buyins. Which correspond well with the traditional advice of having 20 times the buyin in your bankroll. However with a winrate of 3 BB / 100 and a higher variance of 100, which would be typical for a good player in modern 6-max games at stakes like 10NL or 25NL, there is actually a 5% risk of being down 30 buyins at some point. So variance is obviously bad for consistency and bankroll management, but luckily there are actually some steps, we can take to minimize it. We can play full ring rather than 6-max, we can use the “run it twice” feature, and we can take off spots, that are very marginal EV but high variance. Sure the latter can create frequenzy issues, if for instance we almost always fold, when our opponent overbet or raise on the river. But is our average opponent really going to notice that and take advantage of it? 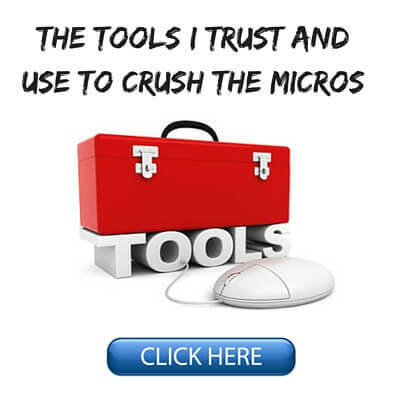 If we are playing microstakes online on a site with a large player pool, realistically the answer is no. Would like to try an experiment with $400. Play about 6 tables of 10nl, or 1 table of 50nl. Goal: Reloaded $400 into WSOP.com and want to work off this bonus. Also interested in seeing rakeback move up. What is my best shot? Playing 50NL with only 400$ gives you a very high chance of going bust, even if you are a winning player. Bonuses typically clear faster the higher stakes that you play. But if your skill level isn't sufficient to beat those higher level games yet, then it's kind of pointless. I always suggest starting at the lower limits first and proving that you can beat them. Also deposit bonuses are just a form of rake-back. So to clear a 400 $ bonus, you need to pay maybe 1.000 $ in rake. Sure its nice to be able to play with a lower rake, but you still need to beat the other players AND the remaining rake to make money. In addition to some great comments above, here's another point worth emphasizing. Live poker is exponentially slower than on-line. I almost never play more than two tables at a time, and played 300 hands the other day (and won), but I did it in about 90 minutes. That's 9 to 10 hours of live poker. Point being, if you need to play 5,000 hands of poker at a soft table to have a nearly guaranteed chance of winning, that's nothing for on-line eight-tablers, yet live grinders wouldn't get that many hands in two weeks of playing eight hours a day. They could do it in three weeks though. So if you play only live, and you play full-time (eight to ten hours a day), that's still only 300-500 hands a day and you can easily end up having quite a few losing days a month even if you do everything right. Good point. If you play 300 hand sessions, even in the best case scenario with a 10 BB / 100 winrate and a low variance of 70, 40 % of your sessions will be losing. If you play 5 sessions per week, which for a live player is already a 50 hour working week, 29 % of weeks will see you lose, and 13 % of month. I would still call this pretty consistent though. I dont expect to win every single time, I sit down at a poker table, and some of the losses will be fairly marginal. Like if you are down one or two buyins at the end of the week, does this really bother you? Hopefully not. Good points about the slow pace of live poker. Luckily the variance is mitigated quite a bit by the much higher winrates. Hello Nathan. Thank you so much for this article! My last session on the full ring tables (12 tables) was negative and your article helps me to return my enthusiasm. I have losted 500 big blinds. On the long distance I have positive winrate. 5 buyin downswings are very common in poker and not something to worry about at all. However that being said it can be a good idea to use some sort of stop loss strategy, since you need to be very mentally strong to still play your A-game after losing a substantial amount in a short time. Often times negative feeling will start to take over, and you stay in the game to get unstuck rather than because, its a good game, and you are enjoying it. Then you start to play bad, and when you add play bad to run bad, things can get really ugly really quickly. Thank you guys. Next time I will set stop loss = 300 big blinds.